USDJPY is under the influence of Fed and BoJ’s announcements. 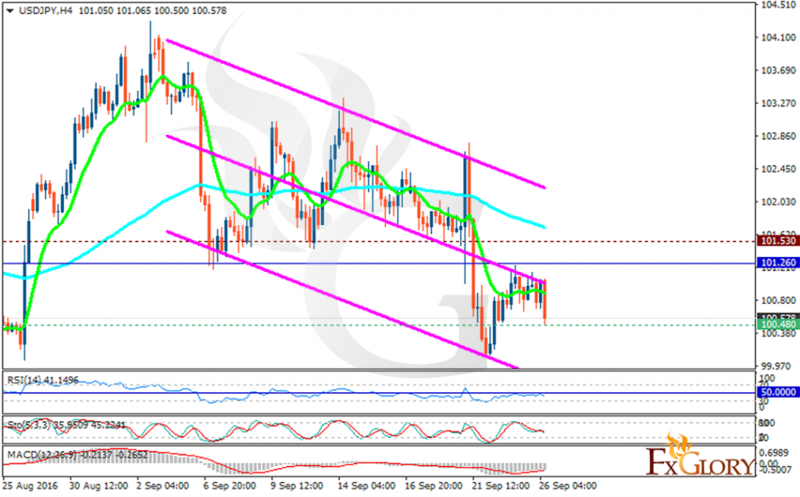 The support rests at 100.480 with resistance at 101.530 which the weekly pivot point at 101.260 is staying in between lines. The EMA of 10 is moving with bearish bias and it is located below the EMA of 100. The RSI is falling sharply below the 50 level, the Stochastic is showing downward momentum and the MACD indicator is in negative territory. The pair is falling down targeting 99.5 area at the moment.